German Juice crooner, formerly known as Cynthia Morgan has re-branded and now prefers to be called Madrina. The dancehall singer is back with a new single and accompanying music video titled ”Billion Dollar Woman”. Madrina who calls herself a “Billion Dollar Woman” has been trailed by claims of unpaid rent and tax evasion. A national daily obtained court documents showing that Cynthia Morgan has been charged to the Ikeja High Court for failure to pay her rent at her Omole apartment. The video for Billion Dollar Woman was directed by M for Ehison Films. Her rise to stardom has been rife with highs and lows. After a melodious verse off Jhybo’s hit song, ‘Ejo le fe ro’ in 2010, she then signed a record deal with Jude ‘Engees’ Okoye, Northside Entertainment Inc.While she was signed on Jude Okoye’s label, she recorded hit songs like ‘Don’t break my heart, ‘I’m taken’, ‘Simati Niya’ and ‘German Juice’ which won her Best Reggae/Dancehall single at The Headies 2015 . After these wins, the Psquare crisis affected her music career, making her start all over again. 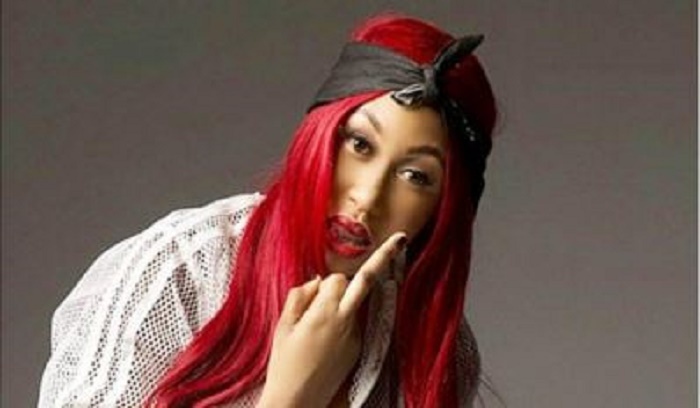 Now, Madrina is back with her own label imprint, The Cynthia Morgan Company (TCMC). She is yet to react to the allegations of unpaid rent and tax evasion trailing her.